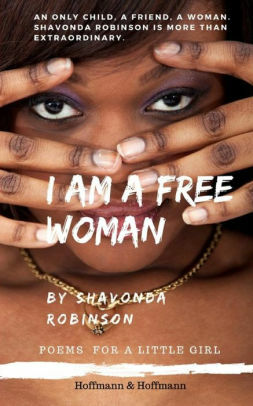 Profound Voices of Women Throughout the Movement is a poetry chapbook from author and award winning songwriter, Shavonda Robinson. 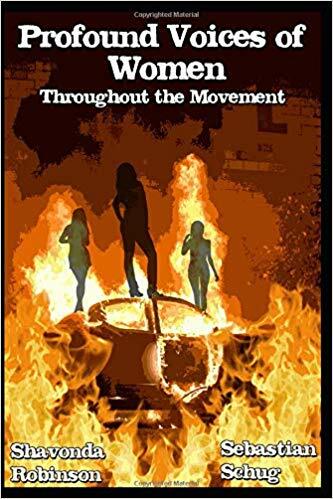 The book utilizes poetry as a means for chronicling experiences with activism. It deals with intense emotions, including despair. There’s a recurring motif of “the three black women” as much of the events are presented through their eyes. The poems typically convey a kind of patient stoicism, as the women often find themselves in chaotic, even violent situations while retaining a calmly defiant attitude. While the poems seem to present in straightforward, assertive declarations, what make the book touching is how the author displays humility. Rather than fronting with nonstop bluster and bravado, she readilt reveals her fears, insecurities and doubts to the reader. This gives the book a deeper sense of authenticity and humanizes the experience. By her allowing us in, we feel as though we’re right in the thick of things as some of the events take place. The book evokes empathy, and I found it to be an engaging and worthwhile read.